With the recent releases of the MacBook Air and the Mac mini, Apple made a point of saying that they can drive a 5K display running at 5120-by-2880 resolution with a refresh rate of up to 60 Hz. That sounds great, but if you’ve been assuming that you could waltz out and buy such a 5K display, you might need to think again. In short, the LG UltraFine 5K Display appears to be the only 5K display you can buy today, and you would have to order it online, sight unseen. If you can wait, it’s possible that LG will have a new model, and Apple has said that it will be releasing an Apple-branded professional display alongside the revamped Mac Pro in 2019. Apple has said nothing about specs, but it’s hard to see the company selling a screen that doesn’t at least match up to its iMacs. What’s going on here? There are innumerable 4K displays for sale, but only one 5K display? There are some possible explanations, such as the industry standardizing on 4K, there being interface issues for all but the most recent computers, the panels being hard to manufacture in quantity, the costs being too high for the perceived win over 4K, or even 8K being the next jump instead of 5K. I have no answers here, but if anyone knows more about this part of the industry, let me know. In October 2014, Apple introduced the 27-inch iMac with 5K Retina display with 5120-by-2880 resolution, and it was, if you’ll pardon the expression, a true eye-opener. It wasn’t the first Retina display from Apple—that honor goes to the iPhone 4 introduced in 2010—nor was it the first Retina display used on a Mac, which was 2012’s 15-inch MacBook Pro with Retina display. But the 27-inch Retina iMac’s screen was huge, making it a different beast than the smaller iPhone and MacBook Pro screens. The point of “Retina,” which is now an Apple trademark, is to make the pixel density of a display high enough that text and images on the screen become sufficiently crisp that the human eye can’t detect individual pixels. The closer you get to a screen, the easier it is to make out individual pixels, so Retina doesn’t refer to an absolute resolution, but instead one that varies with the size of the device and the distance from which the user would generally be viewing. You hold an iPhone much closer to your face than you do an iMac. Or at least I do. The iPhone 4 had a pixel density of 325 pixels per inch (ppi), the MacBook Pro screens are 220 ppi, and the iMac Retina screens are 218 or 219 ppi. The Mac screens haven’t changed over time, but Apple increased the iPhone X’s pixel density to a whopping 458 ppi. A “5K” display is generally defined as one having about 5000 pixels of horizontal resolution; similarly, a 4K display has about 4000 pixels horizontally. Although you can theoretically run a 5K display at its native resolution, the text would be too small for most people to read, unless you were to get really close. Instead, macOS scales the resolution by default, so the 27-inch Retina iMac’s default setting is for a scaled resolution of 2560 by 1440. With scaling, macOS combines four native pixels (a 2-by-2 matrix) into one scaled pixel, and since it can adjust the color of each pixel, the result is a crisper look. When the 27-inch Retina iMac came out, I bought one nearly instantly. 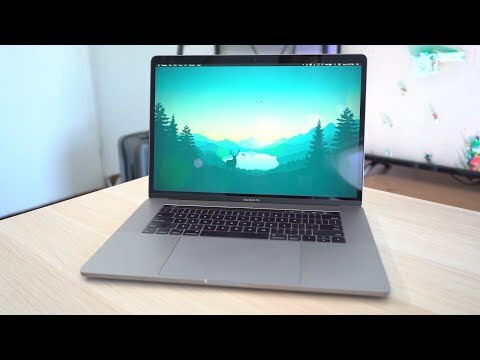 I was ready for a new Mac, the performance was stellar for the time, and the screen was absolutely gorgeous. The only problem was that my main Mac has always been a dual-display system, dating back to the SE/30 with a 13-inch Apple Color Display in 1990. In 2014, there was no equivalent 27-inch 5K display that I could pair with the iMac, so I settled for Apple’s now-obsolete 27-inch Thunderbolt Display. It has a native resolution of 2560 by 1440, identical to the iMac’s scaled resolution, which gives me a single rectangular Desktop. I’ve been using that combination since 2014, but it has never been ideal. I can feel the difference in quality every time I look to my left at the Thunderbolt Display, and I have to make sure to take all screenshots on the iMac’s screen for maximum resolution—screenshot resolution, it turns out, varies by screen. 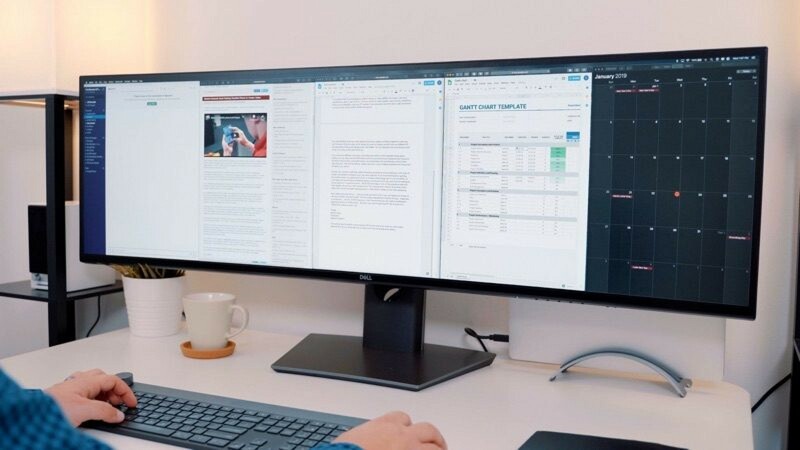 I initially assumed that 5K displays would become commonplace and that at some point they’d get cheap enough that I could justify replacing the 27-inch Thunderbolt Display with a 5K display that would give me the same scaled resolution as the iMac. That hasn’t happened, though, so I’ve decided to wait and see what Apple comes out with for the Mac Pro. It will undoubtedly be a Thunderbolt 3 device, so I’ll have to contend with replacing my iMac at the same time. I hope that Apple pays more attention to the industrial design of this new display in conjunction with the iMac and the iMac Pro. Part of the problem with the 27-inch Thunderbolt Display when paired with a 27-inch Retina iMac is that the iMac is about an inch (2.5 cm) taller than the Thunderbolt Display. Since Apple doesn’t let you adjust the height of either device, the only way to get the two screens at the same height is to put the Thunderbolt Display on a book or other riser. It’s a kludge, and I expect better of Apple’s vaunted designers. It’s hard to see the broader display industry getting behind 5K displays in a big way at this point. Apple often releases new technologies before other companies, which sometimes makes Apple’s engineers seem prescient and at other times causes Apple’s products to end up in technological cul-de-sacs. The 5K display may be one of those dead ends, but it won’t matter to Mac users if Apple’s pro display is good enough and not insanely expensive. Comments About What Happened to 5K Displays? I also wonder why the industry has been so hesitant. Maybe it is because many users have cheap hardware that would have trouble driving such bandwidth. Or just the usual, “it’s close so probably good enough”. I think Apple was spot-on with 5k. When going retina, it makes perfect sense to take a common resolution and just double it. Quality 27" screens (including Apple’s) were running 2560x1440 so 5k is the perfect retina resolution for such a screen size. I’ve used both a Samsung 27" 2560x1440 and a Dell 27" 2560x1440 with my MBP at work. The next 27" screen I buy will definitely be 5120x2880. The 27" screens are nice (especially—and it pains me to admit it—the Dell), but they’re no match for my MBP’s retina. The only thing saving that situation (barely) is that I’m usually much closer to my MBP’s screen when on the road (or at home) than I am in front of my 27" screens at work. Not only is the pro market significantly smaller than consumers or prosumers, any manufacturers would also be competing with the 5k iMac Pros. A company I recently worked with has teams of high end Photoshop retouchers and designers, as well as video editing teams, working on them. I was drooling with envy. I do wish Apple had adopted Adobe RGB as the color space for the iMac Pros however. That Dell for example does. DCI P3 in the iMacs is wider gamut than sRGB, but while it exceeds Adobe RGB in the reds, it doesn’t meet it in the blues and greens. I’m pretty sure that Dell monitor is no longer for sale. There’s no Buy button on that page, and if you navigate in from the monitors for sale from the main page, you won’t find that one. I was lucky enough to find a Dell UP2715K through newegg.ca for my 2014 Mac Pro early last year (April 2017), but even then it already looked like the monitor had been discontinued by Dell. What remains to be seen is which displays I’ll be able to continue to use with the 2019 Mac Pro when it finally comes out. But at least I have been able to enjoy a Retina display as my primary monitor with my pro setup while waiting for Apple to get its act together. I suspect it’s because 5k, at least at the moment, is significantly more than expensive than 4k. Well, not to say that Apple can claim all rights to 5K displays, although have you considered that the reason for the lack of 5K displays is in fact Apple themselves and the messages they give as to the direction they’re going. If the iPad Pro is all the computing one needs, and it can replace your computer, why would any manufacturer throw down behind Apple with resources to build 5K displays when Apple themselves seemingly don’t want to be making Macs any more. Its not like anyone with an iPad Pro is going to flap about not having a 5K display. I don’t think this can be placed at the feet of the iPad—Macs have been selling well for years. However, to extrapolate your basic point to the Mac lineup, I think you may be onto something. The two Mac models that need an external a display are the Mac Pro and the Mac mini, and both have been embarrassingly stagnant for years. Apple finally revved the Mac mini after 4 years, and the Mac Pro revamp is still due in 2019. So I could see display manufacturers not seeing much of a market in those like me who want a second monitor to attach to an iMac or someone who wants a secondary big screen for a MacBook Pro. I think the big holdback on 5K is that it’s just so difficult to drive one. Graphics cards that support DisplayPort 1.3 or 1.4, or HDMI 2.1, are still fairly rare at consumer prices. And with DisplayPort 1.3 or 1.4, you still only get 50Hz refresh at 5120x2880 and 10 bits of color depth. The original 5K iMacs used a DisplayPort 1.2 hack that was essentially using two DisplayPort connectors, and others actually used two unpacked connectors. Thunderbolt 3 is still rare outside of Macs, too, though getting more common. So demand is definitely on the high end, and to a very limited market. The upshot is that you can run 2 4K displays with about the same bandwidth as one 5K display, and you could run an 8K display for about the same horsepower as two 5K displays. But as manufacturers upgrade to support 8K displays and the latest HDMI specs, the silicon may trickle down to some affordable 5K displays, too. I think it’s clear that while the pro photographers and some designers can see a difference in color/clarity, the vast majority of the buying public cannot distinguish the difference between 4K and 5K displays (good 4Ks anyway). And since few people can actually use a computer at 5120-by-2880 resolution (everything is just too small and unreadable) for more than watching video, there’s no reason to pay the premium for 5K when you’re going to run it at the same resolution as a 4K display at 1/3 the cost. 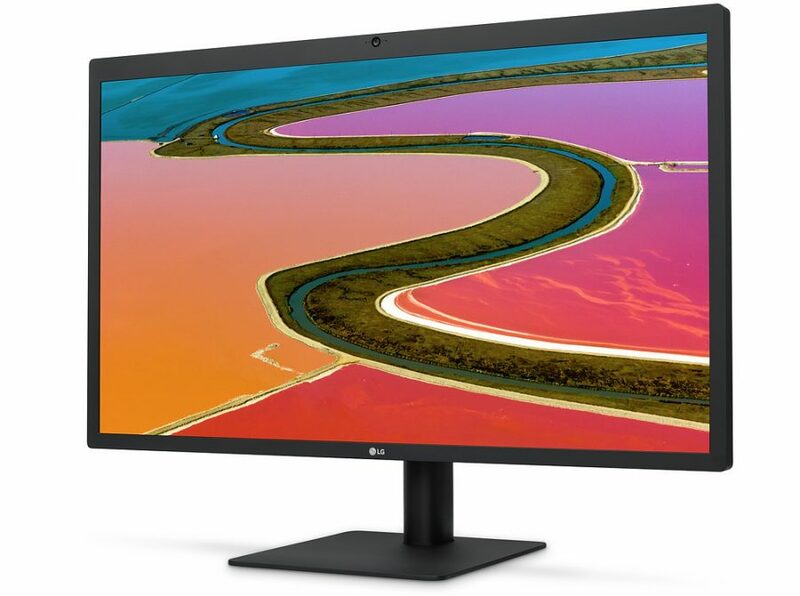 As for Mac users, until they sell a 5K display with Thunderbolt 3 connections, USB-C powered ports for connecting and charging other devices, and a webcam compatible with Facetime, the LG is likely to be the only 5K display for Mac users until Apple releases their own pro display (which few people will be able to afford). I have kept my original Cinema Display around for one reason: its matte screen. The market today is all “glossy.” I remember the glossy/matte discussions a few years ago, but matte screens today are extinct. Certainly the great minds working on displays of the future are also trying to come up with an effective anti-reflective solution! If so, they’re keeping it real quiet. I remember the glossy/matte discussions a few years ago, but matte screens today are extinct. I’m not sure that’s true. Maybe it’s harder for 4K, but for 1440p matte displays are readily available. After my ACDs I bought two 27" monitors from other manufacturers and both were matte. I never had issues finding matte external displays, especially higher resolution models. I suppose it’s because these are mostly for professional use and least used for movies/TV where glossy appears to be most popular. I was able to find this 4K display that’s definitely matte. At $348 shipped it’s quite inexpensive for an IPS, so no idea if it’s actually really a good monitor. I was talked into buying a matte display on the ancient MacBook Pro I’m still using, even though the salesperson at the Apple Store tried talking me out of it (though not too hard). I had told him that I was a heavy graphics user, and the salesperson told me The matte would dull color. He was right, and it’s the one thing I regret about the purchase. Afterwards, I heard a lot of regrets from others for the same reason. Since graphics users are likely to spend more money on screens, no matter how much they want anti glare, color fidelity is more important. Graphics pros are the most likely to spend more money for top of the line screens, and if they aren’t shelling out extra money on a particular feature, it’s not likely to survive in the marketplace. Glossy screens are equally important for print, even on uncoated stock. Color seems to loose punch on matte screens. We do precise color proofing in our office. Lots of graphic work. When we moved to the glossy iMac screens from the 30" Apple Cinema displays no one complained. It’s not technically matte in the way that old time TFT matte displays are, but it’s not anything like glossy, either. It shows virtually no reflections under bright lights or in a very sunny room. 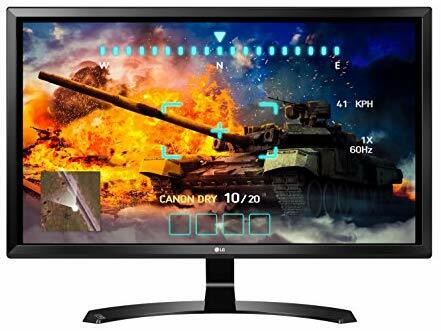 I’d also like to point out that that 27UD58 model regularly goes on sale for around $300, occasionally under; but the bezels, enclosure and stand are awful; but is a very good panel; identical to the panels in most other affordable 4K displays, as most are made by LG anyway; so if you don’t care about the enclosure, and are willing to pop $30 or more on a good VESA mount, it’s a great, affordable choice. The panels used in that one are similar, but there are better specs available on the 27UD68 and 69 series, and those are regularly on sale for $400 or less; I even saw the very best version, the 27UD68P-B (best NIT and color), go on sale for ~$370 on Black Friday. Best Buy usually has the 27UD69-W (white enclosure) for around the $400 regularly; it’s a fantastic screen, with the nearly-matte finish and super-narrow bezels, great for multiple displays. I have two 68P-B, and one 69-W, side by side, and I swear I can’t tell the difference, nor can others who’ve tried without looking at the color of the enclosures on the back, but I also don’t need them at full brightness (I run at around 70%). Well CES 2019 came and went, and AFAICT we’ve seen zero announcements of any new ‘true’ 5K3K displays to add to the very few that exist. 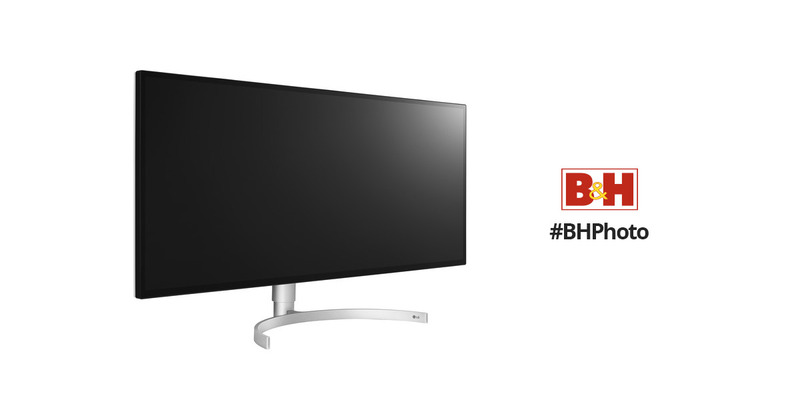 Only these 1440/2160-height widescreen displays, instead of true 2880-height 16:9 models. However, zero non-Thunderbolt 3 5K3K displays actually exist? Weird and annoying, for sure. Yeah, it is curious. I’m dying to see what sort of a display Apple releases with the new Mac Pro later this year. Well, here’s a new 5K display, but it’s not Retina. That’s the problem with using pixel width alone as a shorthand, assuming the aspect ratio will be something normal like 16:9 or 16:10. It is nice that the Dell Ultrasharp U4919DW provides enough power to handle a 15-inch MacBook Pro, has picture-by-picture, and KVM features. However, there are some significant limitations if you attempt to use this with the single USB-C connection. The USB-C connection only supports USB 2.0 for data so if you have higher speed peripherals like an external drive, it will need a separate connection. Also, if you use the USB-C as the video connection, the color depth is only 8-bit (~16M colors) instead of 10-bit (~1B colors); using the full color depth will require using an adapter to connect to one of the HDMI or full-size DisplayPort ports. So instead of using one cable, you have to use three cables to connect to this display to take advantage of all its features. LG just recently released another beast of a 5K widescreen; looks like what the Dell above is based on. Now we have Ming-Chi Kuo suggesting Apple’s new display will be a 6K retina quality 218ppi model. Sounds a weird option to me that Apple would go for this. But then, it may be they simply cannot wait for Thunderbolt 4 to arrive, which would offer enough bandwidth for 8 or 10K options along with hub like functionalities. So a 6K may sell well when marketed especially for use with a new Mac Pro. We’ll see.